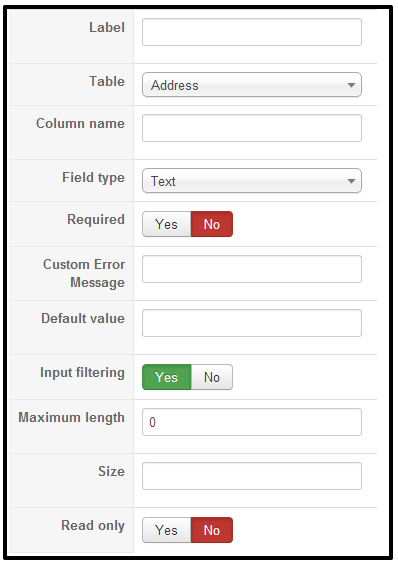 How to manage custom fields in HikaShop for Joomla 3.x ? This screen enables you to manage all your custom fields. In HikaShop, you will be able to manage custom fields for the customer information, his addresses information, categories information, products information, article information and orders information. With the address custom fields, you will be able to personalize the information you can gather from your customers for each of their addresses. There are already custom fields available for the address so that you can easily tweak them for your needs. This is available in all versions of HikaShop. With the user custom fields (both essential and business edition only), you will be able to personalize the information you can gather from your customers when they register while on the checkout process. For example, if you want to know their birthday, you can add a custom field for that. Then, thanks to the integration with AcyMailing, you will be able to send automatic emails to them based on their birthday. With the category custom fields (both essential and business edition only), you will be able to personalize the information for your categories. Your potential customers will be able to see those on the products and categories listings if you choose to display them there..
With the product custom fields (both essential and business edition only), you will be able to personalize the information for your products. Your potential customers will be able to see those on the product page. Also, with the filtering module, which will be available in a later release, your customers will be able to filter your products using filters based on those custom fields. With the item custom fields (business edition only), you will be able to personalize the information you can gather from your customers when they order something on your store. The custom fields will appear on the products page where you will be able to ask the user information related to the product he wants to buy. It’s useful when you sell personalized goods like for example a shirts selling website where the customers can upload an image to be printed on the shirts. With the order custom fields (business edition only), you will be able to personalize the information you can also gather from your customers when they order something on your store. But the difference with the previous type of custom field is that these fields appear on the checkout in the fields view. For example, You can ask them information about the delivery or the payment or a “comments to the shop” field. Then, you will find this information on the order details and/or the orders listing on the back end. You can find the custom fields listing via the menu Display->Custom fields in your HikaShop backend. # : An indexing number automatically assigned for ease of reference. 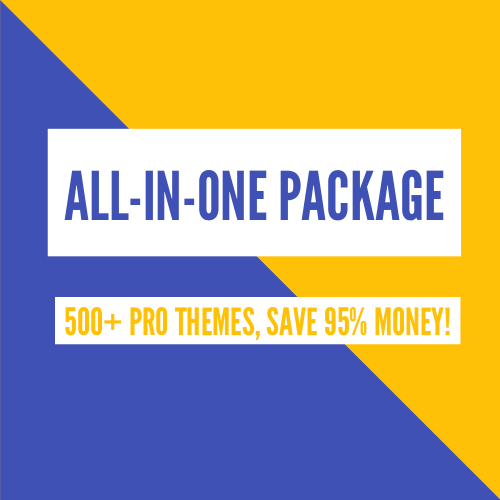 Checkbox : Check this box to select one or more items. To select all items, check the box in the column heading. After one or more boxes are checked, click on the delete button in order to delete the selected custom fields. Table : The type of custom fields. It will be either address, user, product or order. It is more precisely the name of the table where the custom field column is added. Label : The label of the field. You can translate it via joomfish. Note that core custom fields should be translated via the translation file of hikashop so that everyone can benefit of the translations. In the translation file you will find them by searching for the english label which will be uppercase and spaces replaced with _. For example, you will find “Middle name” with the key MIDDLE_NAME in the translation file. You can edit the translation files of HikaShop in the configuration page of HikaShop, under the tab languages. Field type : The type of the custom field. That will enable you to decide how you want to show your custom field (as a dropdown, or as an input box or as a text area, etc). Based on that you might have additional options when editing the fields. Required : This will define whether the field needs to be filled in forms. If required, the system won’t allow the creation or the change of an address (or a product or a user) as long as the field is not filled. Order : The order will define the position of fields on forms. Front end : If set to yes, address and user customer fields will be used during the checkout process to ask more information about the customer. 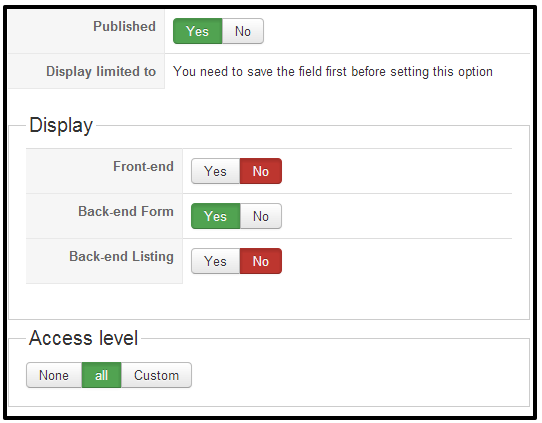 Product custom fields will be displayed as specifications on the product page. Back end Form : If set to yes, you will be able to change this information on the back end. Usually it should be always yes. Back end Listing : If set to yes, the value of the field will be displayed as an additional column on listings on the back end. Note that this only applies to user and product custom fields. Published : If a custom field is published it means that it will be used by the system, otherwise, it won’t be taken into account. Label : The label of the field. You can translate it via joomfish. Note that core custom fields should be translated via the translation file of hikashop so that everyone can benefit of the translations. In the translation file, you will find them by searching for the english label which will be uppercase and spaces replaced with _. For example, you will find “Middle name” with the key MIDDLE_NAME in the translation file. You can edit the translation files of HikaShop in the configuration page of HikaShop, under the tab languages. Table : The type of custom fields. It will be either address, user, product or order. It is more precisely the name of the table where the custom field column is added. As you can see, once a custom field is created, you can’t change the table where it is located. If you want to do so, you will have to delete it and create a new one. Column name : The name of the column in the table. You should avoid as much as possible special characters for the column name. As you can see, once a custom field is created, you can’t change its column name. If you want to do so, you will have to delete it and create a new one. Field type : The type of the custom field. That will enable you to decide how you want to show your custom field (as a dropdown, or as an input box or as a text area, etc). Based on that, you might have additional options below the Default value option. For example, the telephone field being a text custom field, it has a size option you can change. With HikaShop Business, you have the additional type “file” which will allow you to ask a file to be provided by the user and it will then be available with a link to it. Default value : Default value for the current field. If you change the field type, you will have to save the change before you will see the corresponding default value option. For example, if you change from a text to a zone type custom field, you will have to save the field before you will see the dropdown with all the countries in it. Fields below the default value option : These fields, which are different for each type of field, will enable you to customize further the custom field. Regular expression check : You can enter here a regular expression so that if your custom field is required, the data entered by the user in the field will have to match the regular expression here. For example, you could use the regular expression [0-9]+ to only allow integers in the field. Attributes: Here, you can enter attributes that can be added to the field HTML element. So for example, for a custom field of the type “text” you could enter the text: autocomplete=”off” in order to deactivate the auto complete feature of the browser for that custom field. Display limited to : Here, you can select another custom field of the same table and the corresponding values for which you would like the current custom field to be displayed. The preview part will display you an example of how it will be displayed on the back end and front end forms. You will have to save the custom field in order to see your changes applied to the preview.